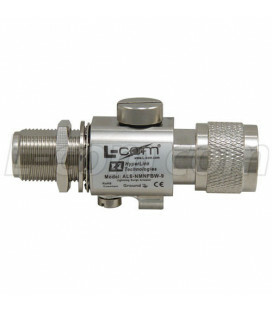 Protector CAT5 contra descargas y sobretensiones. 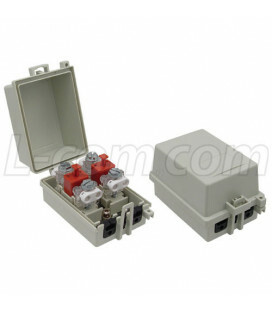 The Hyperlink Shielded CAT5 Lightning Protector provides lightning and surge protection for CAT5 data applications. 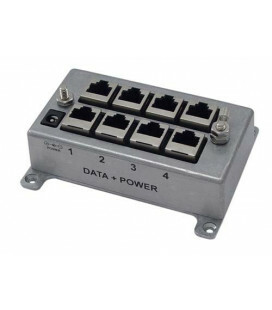 The unit is fully compatible with industry-standard IEEE 802.3af Power-over-Ethernet (PoE) devices and 10/100 Base-T Ethernet networks, providing protection to both Ethernet data pairs as well as the PoE power feed. 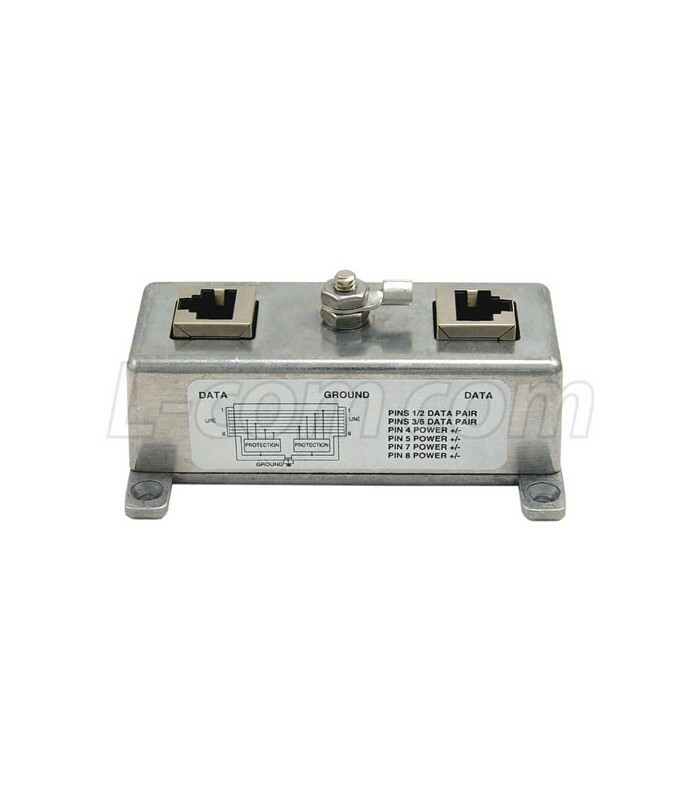 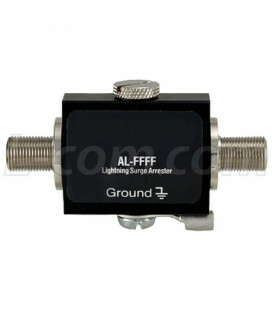 High speed semiconductors clamp any voltage, positive or negative on the wires. 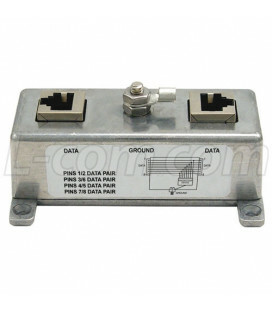 The limits are +/- 15 volts pins, 1, 2, 3 and 6 and +/- 58 volts on pins 4, 5, 7 and 8. 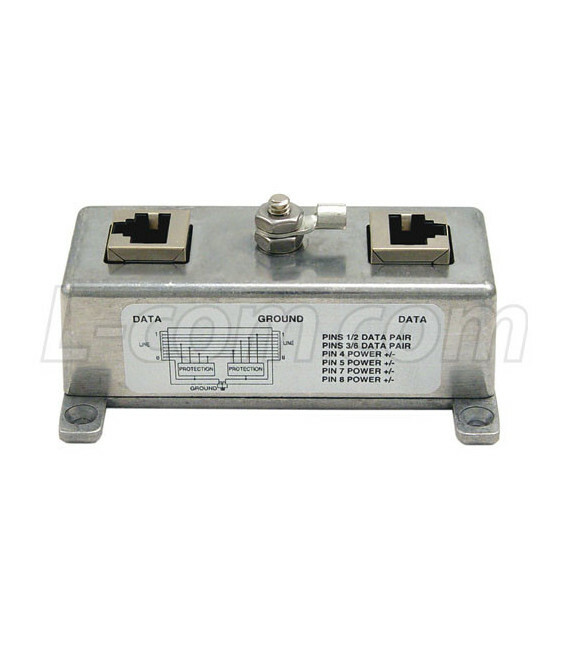 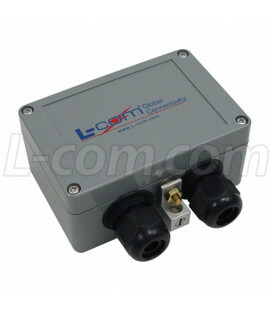 The unit is compatible with both normal and inverted polarity voltage PoE equipment. 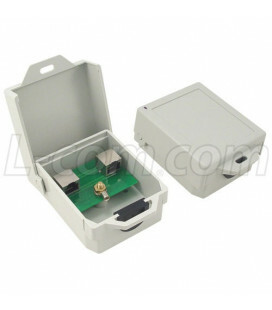 Most PoE capable equipment is not protected from surges on it´s CAT5 cable. 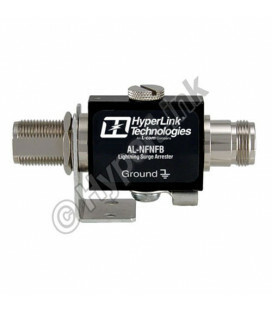 Hyperlink´s Shielded CAT5 Lightning Protector is compatible with 10/100 Base-T devices with or without Power-over-Ethernet (PoE) capability, including Wireless Access Points, Access Servers and Outdoor Routers that support Power-over-Ethernet (PoE). 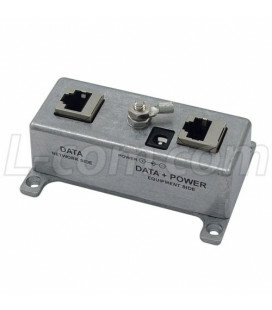 This lightning surge protector is compatible with Cisco Aironet 1100 and 1200 series access points, DC Injectors and other equipment supporting reverse polarity PoE pinouts. 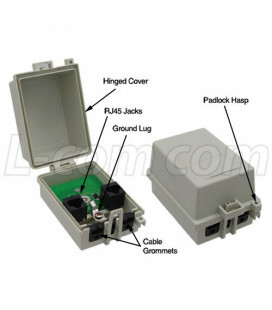 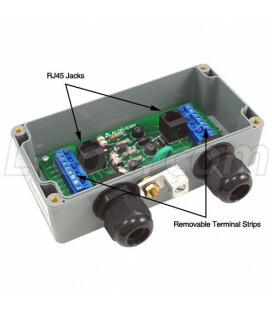 The HGLN-CAT5-2 features shielded RJ45 jacks. 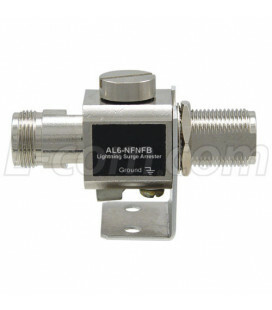 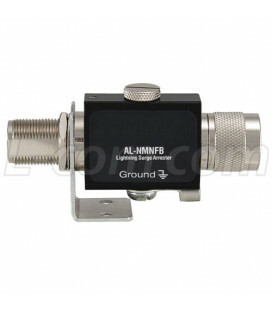 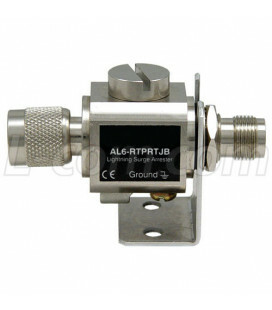 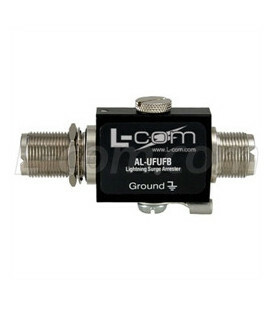 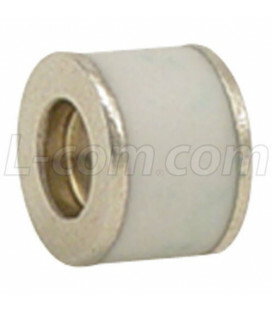 This along with the HGLN-CAT-2´s metal housing helps reduce the effects of EMI interference. Additional features include a ground lug and terminal is providing superior grounding. 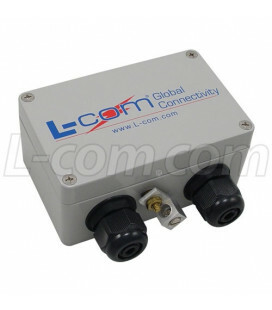 For maxium protection from lightning on long cable runs, two HGLN-CAT5-2 can be used, one at each end of the cable. 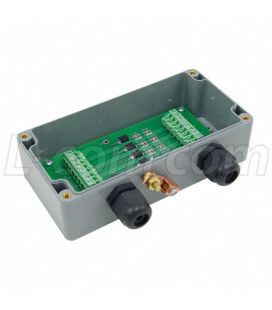 The cast Aluminum housing includes integral mounting feet for ease of installation.